In every business, accurate financial planning is the ladder to success. With the growth of globalization and recent financial rumors, demand for honest accountants has increased. Experts with careers in accounting perform a wide range of auditing, tax related activities for their clients, which could be for a nonprofit firm, corporations, governments or individuals. They prepare, examine and maintain financial records for their organizations. Accountants are backbone of every enterprise. Constant changes in technology have upgraded the nature of task for most of the careers in accounts field. Hectic manual tasks are reduced to a great extent. Special accounting software makes it possible to have a summary of financial transactions for detailed analysis in a standard and universally accepted format. Auditors and accountants manage data and records in flexible manner with the help of computers. Accounting Degree holders with comprehensive computer talent specialize in problem solving techniques with aid of ready software used to solve financial issues. You must have a passion for numeral values calculations and strong skills of accounts with a sound knowledge of using computer-aided software packages for book-keeping. Bureau of Labor Statistics (BLS) Department of US quotes average annual wage in accounting majors as $70,130 through year 2011. An earning of Best-paid 10% was approximately $109,870 and Wages of Lowest-Paid was estimated $39,640. Public accountants: Public accountants examine functions like auditing, tax preparation, and consulting for corporate, nonprofits organization and individuals. They may become Certified Public Accountant (CPA) and work for public enterprise or have their own businesses. They handle tax matters for clients and sometimes also offer advice on employee healthcare benefits. Management accountants: Record and analyze financial transaction of firms including budgets, assets and cost management along with performance evaluation. 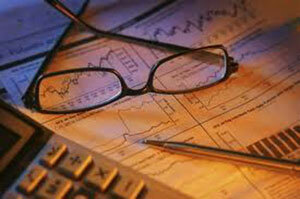 Financial reports are prepared for Stockholders, Creditors, Tax Authorities and Regulatory Agencies. Government accountants: Maintain financial records of Federal, Local or State level Government Agencies. Major task involved is to ensure that private firms plus individuals owing their own business; follow audit task as per the government norms. Revenue Service Agent is the common designation given to a government accountant by federal authorities. Internal auditors: Also known as Forensic Accountants investigate security of company's internal controls and checks for fraud or mismanagement. As per BLS, the prospect for graduates of usual and online accounting degree programs may be tremendous. To qualify for most of the positions, you might require at least a bachelor’s level score in a related field. Overall, employment outlook might be good for graduate accountants having prior work experience in related field. Duration: 2 years after master’s study. Offered by: Campus based and Online Business colleges, university. Eligibility: Minimum master grade with relevant work experience and also pass exam of Certified Public Accountant (CPA). Ideal for: Earning a top most position as a Corporate CFO or who wish to become a professor in a business university. Duration: 1-2 years after bachelor's. Awarded by: Business, College, University. Best suited for: Personnel who wish to move into a managerial or consulting marketing role such as Marketing Consultant or Manager. Given at: Best Business College, University & School. Ideal as: Entry-level as well as Mid-levels Jobs in accounts. Offered by: Business college, community colleges, trade plus vocational schools. Best suited for: Entry-level work in areas such as Bookkeeper, Accounts Receivable Clerk, Billing Clerk and Payroll Clerk. Projected report of Labor Statistics states 22 percent employment growth for accountants till year 2018. The estimated number of jobs that might increase is 190,700.On-Campus and Online Doctorate Degrees in Accounting might help in achieving the highest position to build a Career in Chartered Accountancy.